Here's what I'm reading today! As a fruit, nut and vegetable lover, the raw food movement has really piqued my interest. 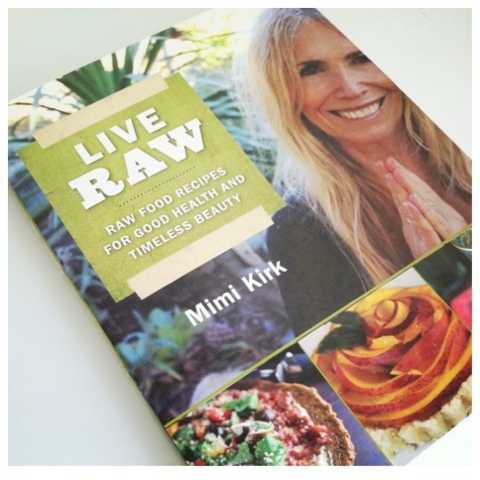 Mimi Kirk is a 70-something raw foodist who gives great advice for staying young, vibrant and healthy at any age. In Live Raw, she advocates self-love, meditation, finding your passion, taking mental health days to relax and pamper yourself, getting enough sleep (something I struggle with! ), and taking your entire birthday month to "[c]elebrate life and enjoy every minute." Along with great practical advice, Ms. Kirk provides beautiful raw food recipes that I can't wait to try in my own kitchen. The recipes are easy to follow and don't require a million different ingredients. I can't recall the last time I was this excited about a cookbook! :) Some of the recipes do require some machinery (food processors, dehydrators, etc.) so I might start with the simpler recipes and go from there. Anyway, it's a lovely book and if you're at all interested in healthy eating and overall wellness, I would recommend it to you!